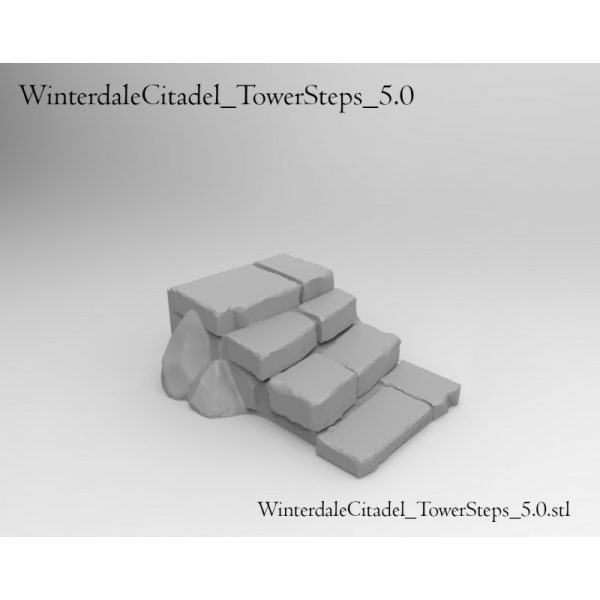 Winterdale Towers rise like severe, grey stone like fingers into the cold sky. These tall and sturdy towers from which the Winterdale Guard keeps watch over the land, warns the city of any encroaching danger. 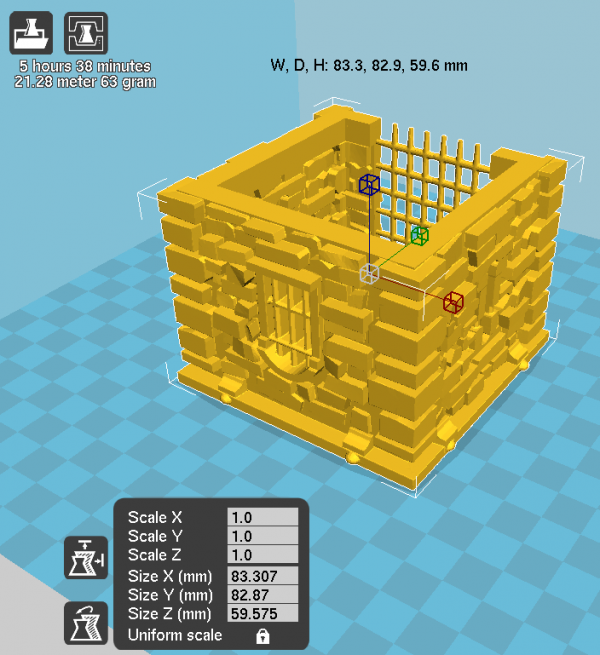 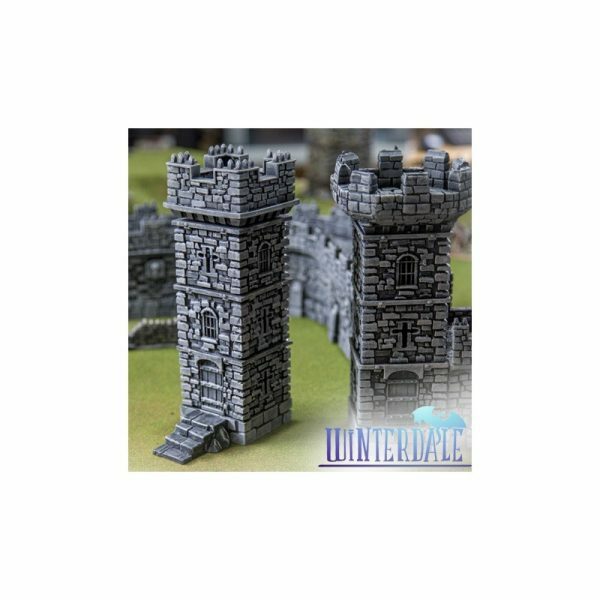 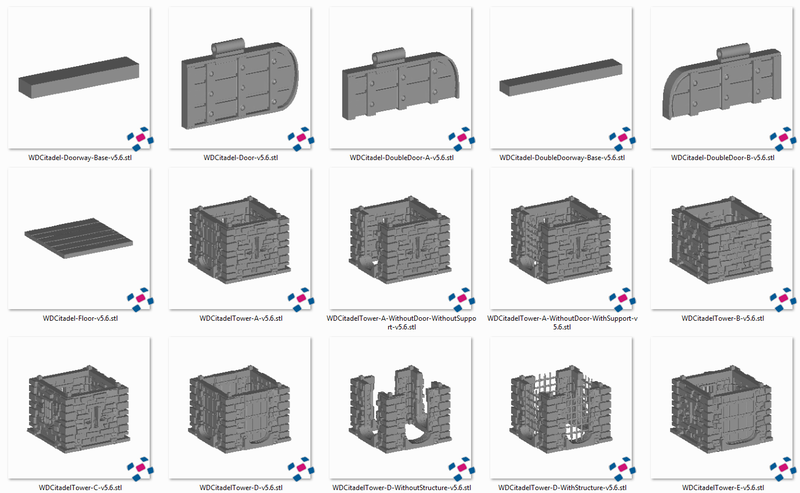 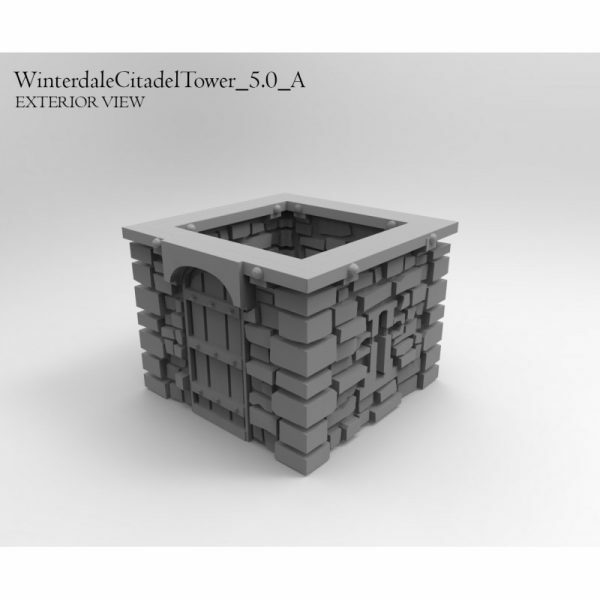 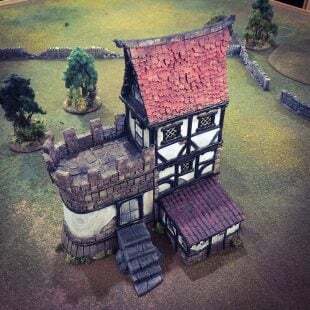 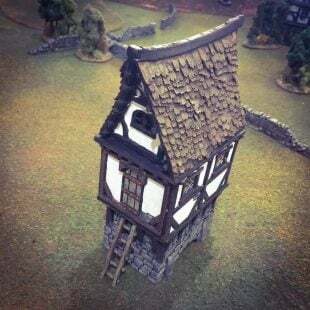 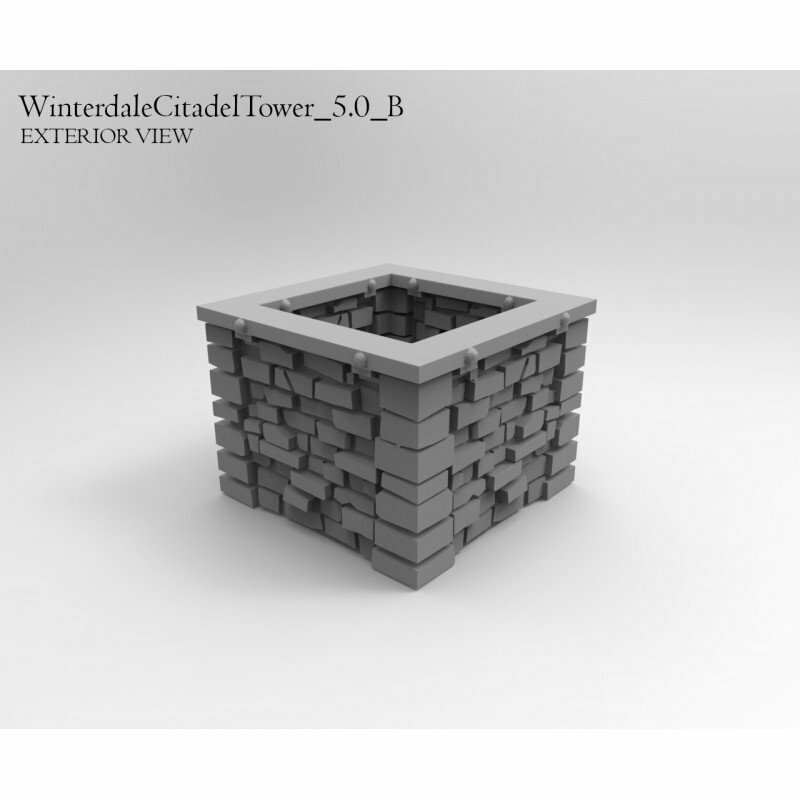 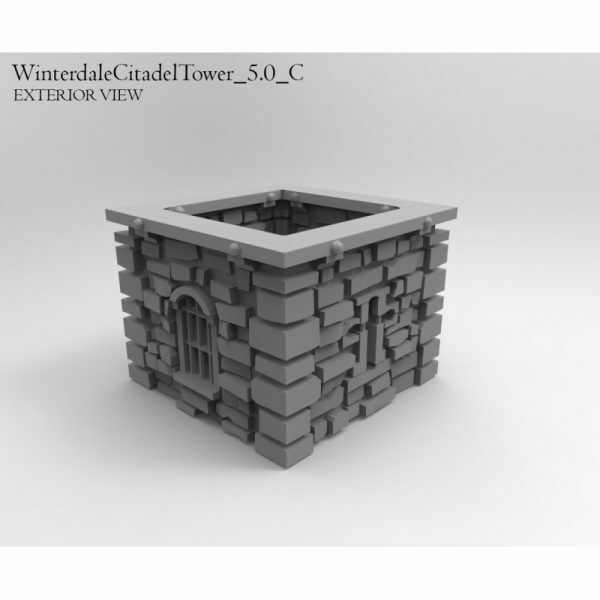 The Winterdale Tower set allows for the printing out of a modular castle tower, with two options for the tower’s turret. 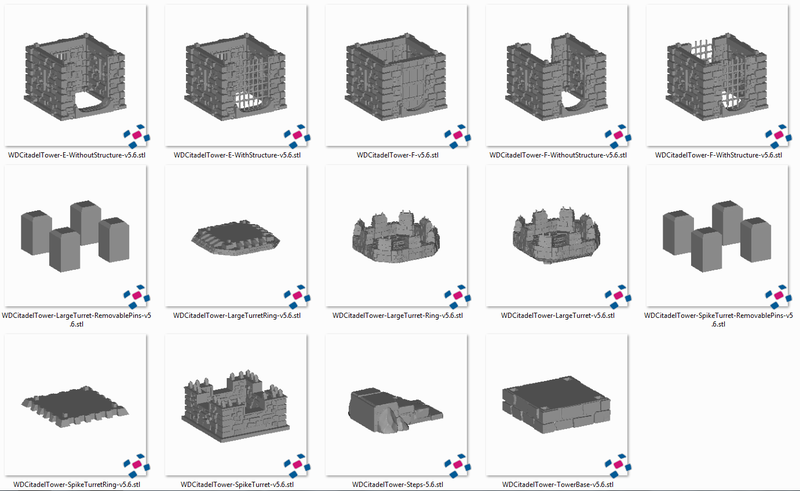 The ability to print out multiple floors of the tower allowing for the height of the building to be fully customized. 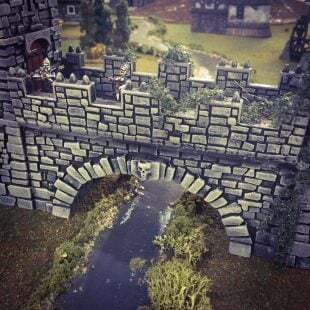 In addition, the tower comes with a plinth, that allows it to be lined up neatly with the Winterdale wall and tower bridge sets. 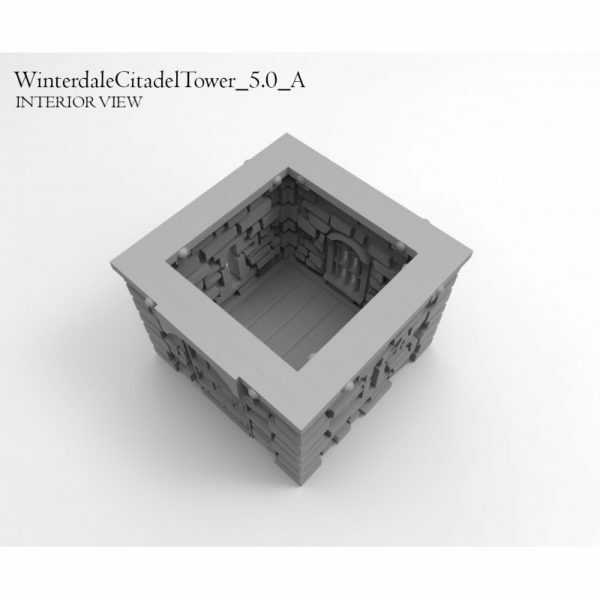 A set of steps gives access to the tower’s door when raised on this plinth. 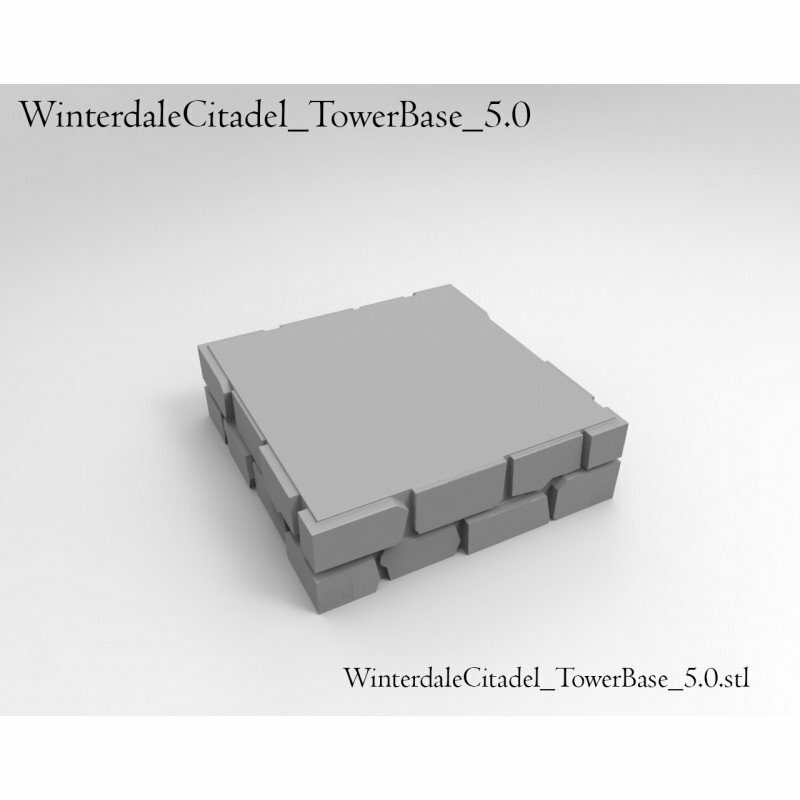 5.2 All tower sections now have the same relative scale floor plate. Turret now prints in two pieces to avoid overhang. Now includes 4 door option and large door version. 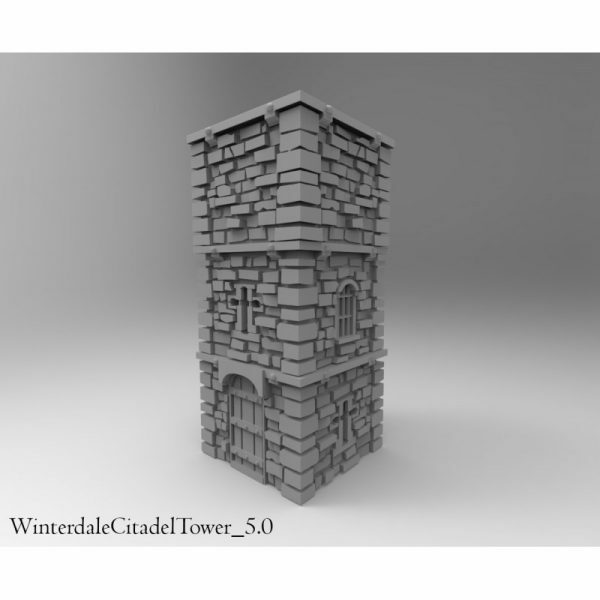 5.3 25 July 2017 – 5.3 Contains small mesh repair to WinterdaleCitadel_SpikeTurret_5.1, WinterdaleCitadelTower-5.3-Door, WinterdaleCitadelTower-5.3-DoubleDoor. 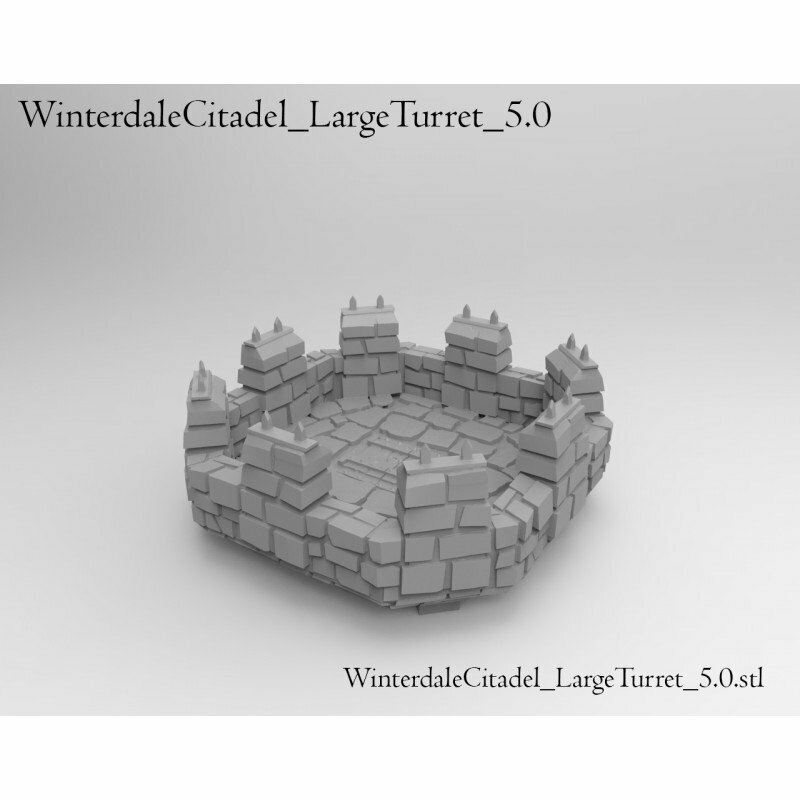 24 April 2018 – 5.4 Scaling corrections made to Turrets and Turret Ring. 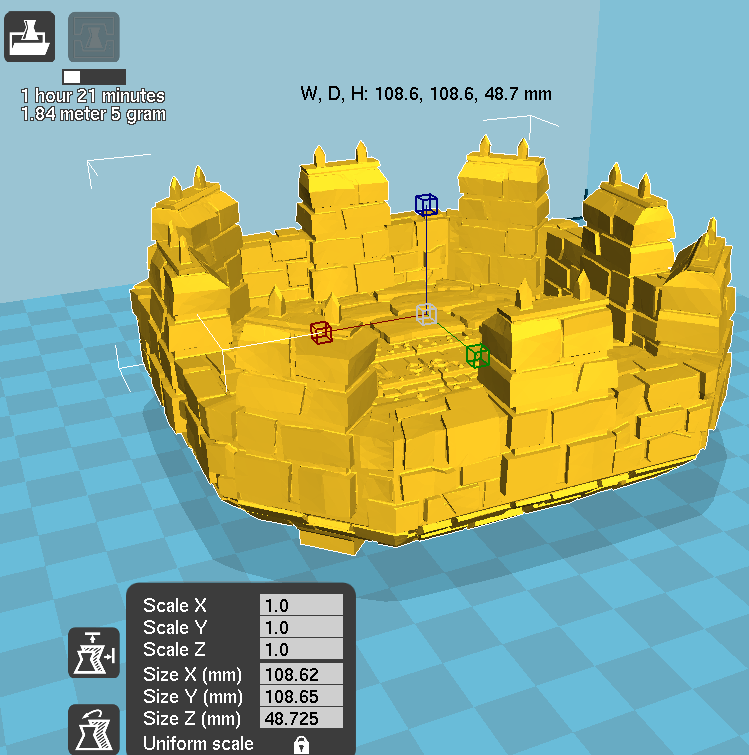 31 October 2018 – 5.5 Lower Base added so that Towers are level when used along side Citadel Walls. 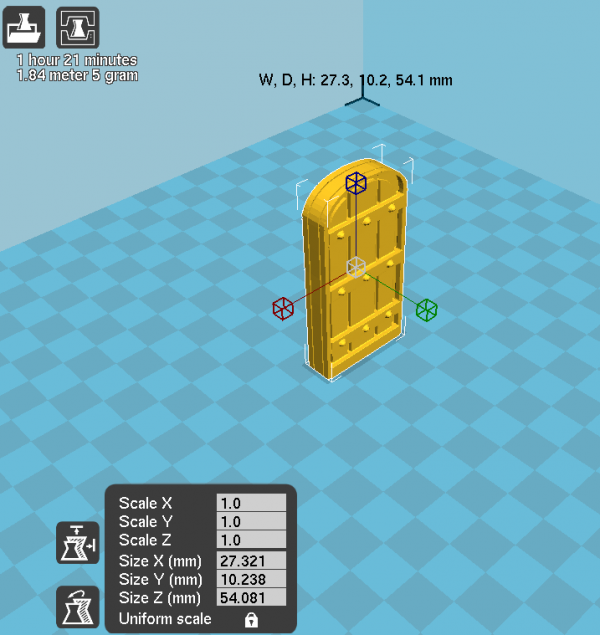 1 April 2019 – 5.6 Locking pins, filament door connections and doorway bases have been added. 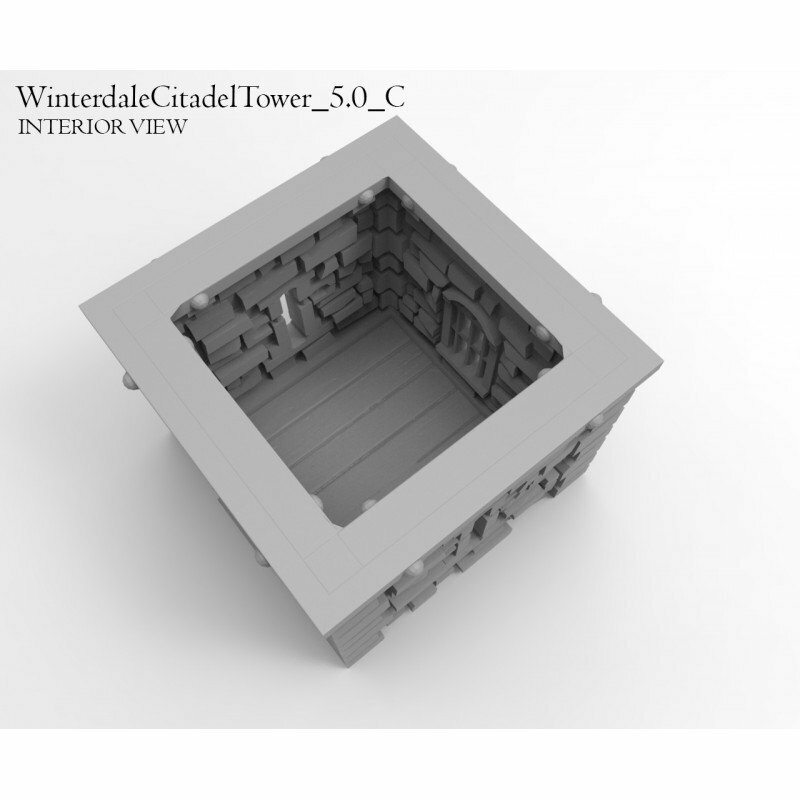 Please note that the scale had increased from the previous version of the tower to allow the 4 door tower to fit properly with the walls. You can easily change the scale back to the original scale by setting the size to 7.4 ✕ 5.3 ✕ 7.4 cm. 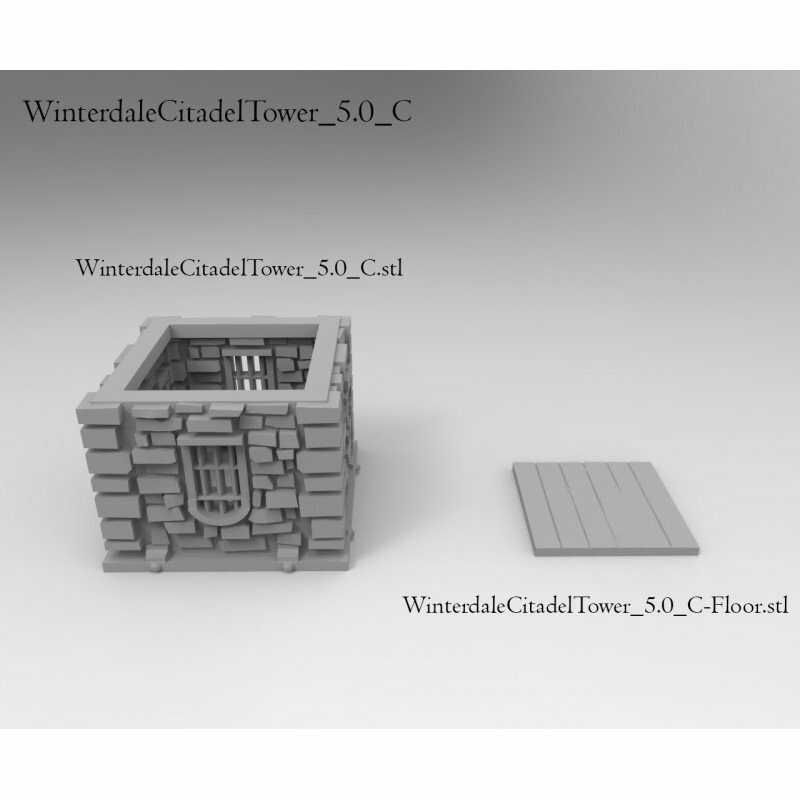 When you scale change like this it makes compatibility very difficult, especially with preexisting sets. 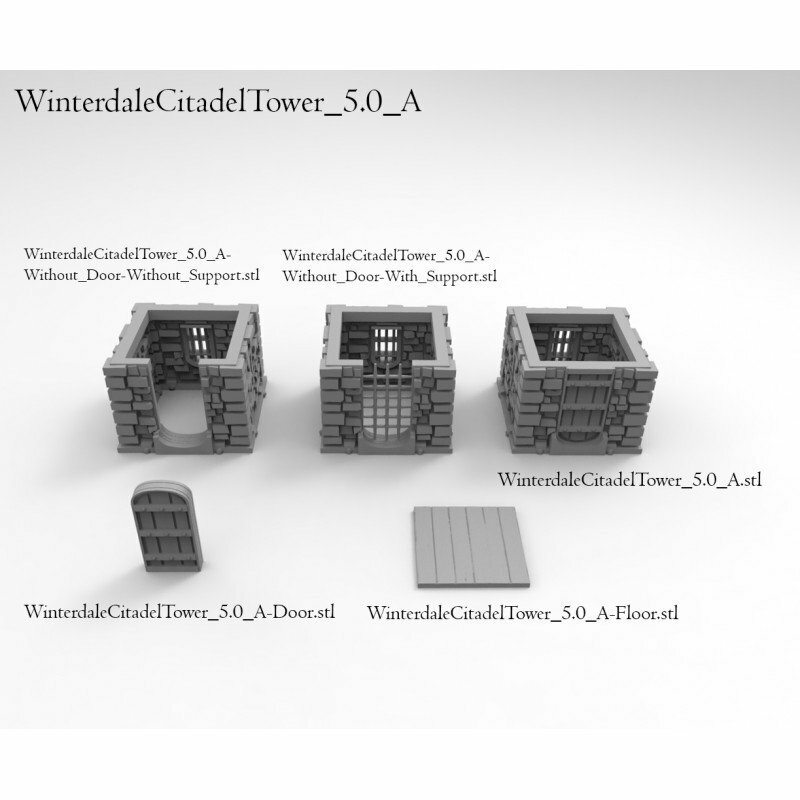 Could you please make the older versions of the sets downloadable too? 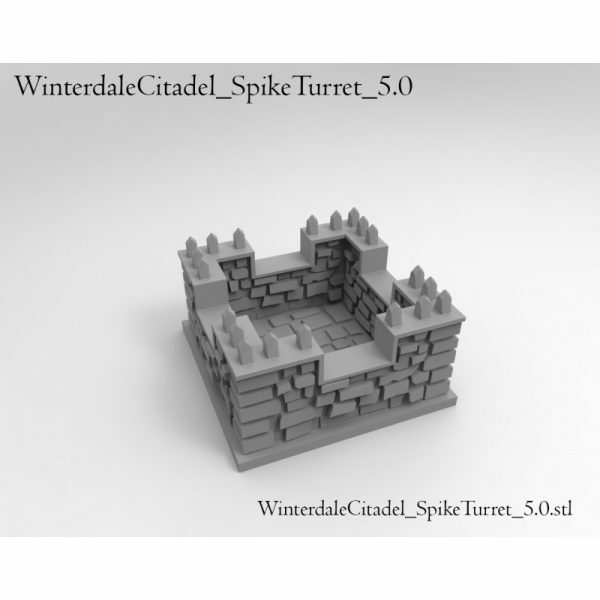 Impossible to plug Spike Turret Ring into an other part. 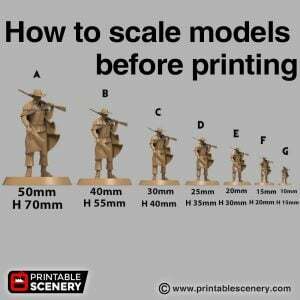 Problem with size ? I have a problem with WinterdaleCitadel-SpikeTurretRing-5.2.stl. I have 2 versions of Winterdale-Citadel-Tower-5.3.zip ( 46727Ko and 60027Ko ). The 2 files WinterdaleCitadel-SpikeTurretRing-5.2.stl (3118Ko) in zip are the same. 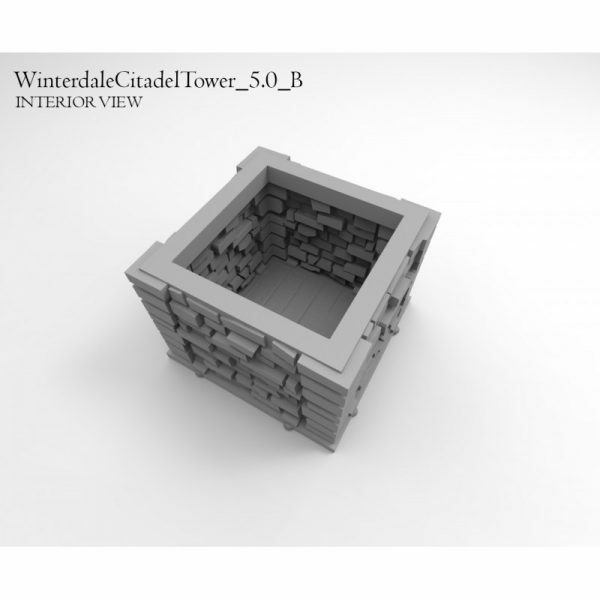 And borders are no so large to overflow on the floors below. 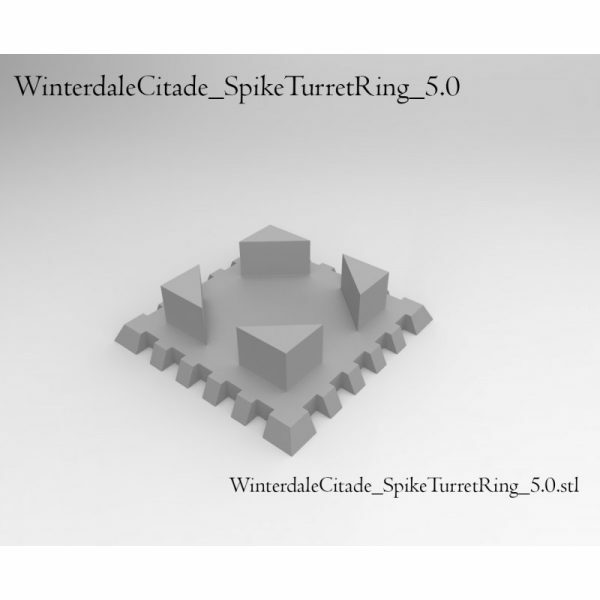 I think there is a general prablem on this spike turret ring. After that, i think you must to enlarge WinterdaleCitadel_SpikeTurret_5.1.stl too. 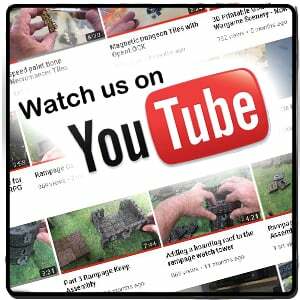 We can add it to the suggested list of updates.